In this workshop, Dr. Diana Fosha will introduce the Accelerated Experiential-Dynamic Psychotherapy therapy model, also known as AEPD. This therapy model assumes a healthy core within all people and emphasizes the importance of experiential work with attachment, emotion, and transformation. AEDP is an integrative, non-pathologizing, transformation-focused therapy model that draws on affective neuroscience, attachment theory, mother-infant developmental research, and research documenting the undreamed-of plasticity in the adult brain. AEDP has developed a healing-oriented practice and leverages safety and connection within the therapist-client relationship to facilitate healing. With clinical examples, participants will discuss AEDP’s precise articulation of the four state and three state transformations that characterize transformational experiences. Diana Fosha, PhD, the developer of A E D P (Accelerated Experiential-Dynamic Psychotherapy), and the Founding Director of the AEDP Institute. 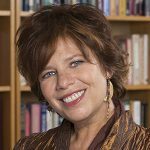 A leader in the field of transformational studies in trauma treatment, her work on healing transformational processes focuses on integrating neuroplasticity, recognition science and dyadic developmental research into experiential clinical process work with patients. She is the author of The Transforming Power of Affect: A Model for Accelerated Change (Basic Books, 2000); and senior editor, with Daniel Siegel and Marion Solomon, of The Healing Power of Emotion: Affective Neuroscience, Development & Clinical Practice (Norton, 2009); and co-author with Natasha Prenn of Supervision Essentials for Accelerated Experiential Dynamic Psychotherapy (APA, 2016). 3 DVDs of her live AEDP clinical work have been issued by APA, with AEDP featured as one of APA’s Systems of Psychotherapy. A sought-after presenter nationally and internationally, Dr. Fosha practices in New York City, and offers trainings and workshops worldwide. To register by phone or fax, click here.